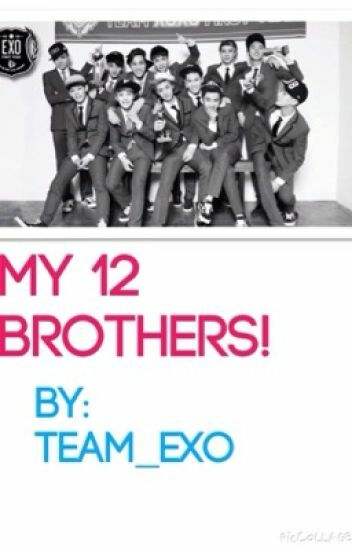 Hii everyone!~~ my first real fanfic! I'm so excited to write this!! An Insane k-pop Fan known as Fan #2319, is a famous Internet blogger who is known for writing fanfictions about kidnapping famous Korean pop groups. Little does everyone know that Fan #2319 actually does kidnap k-pop bands to use as inspiration. Her next target is the famous pop band EXO who her friends happen to love. But what happens when the members of EXO start falling for Fan #2319 and her friends? Will they ever find out who kidnapped them? Read and find out! In total there are thirteen of them. Thirteen people who changed my life for better and for worse. These thirteen where my boys. Kim Chaelin adik kepada Exo yang popular hidup bahagia bersama abang abangnya. Namun, dia terpaksa berpisah dengan seorang abangnya dan hanya bertemu selepas 2 tahun. Read this.. Cerita ini berdasarkan realiti dan imaginasi..
Park Young Ji is a smart girl and very observant. Her best friends are An Eun Hye,  Kim Hana, Choi Ye Jin, and Lee Seul Bi. All of them are bestest of friends since middle school. They all enjoy music. When all the friends got accepted and transfer to Korea National University of Arts, they meet their bias kpop group , EXO. The truth is Park Young Ji is actually Park Chanyeol's younger sister, but of an accident she doesn't remember. What will happen when she remember the truth? Will EXO become friends with the girls? What exactly will happen? Read to find out!